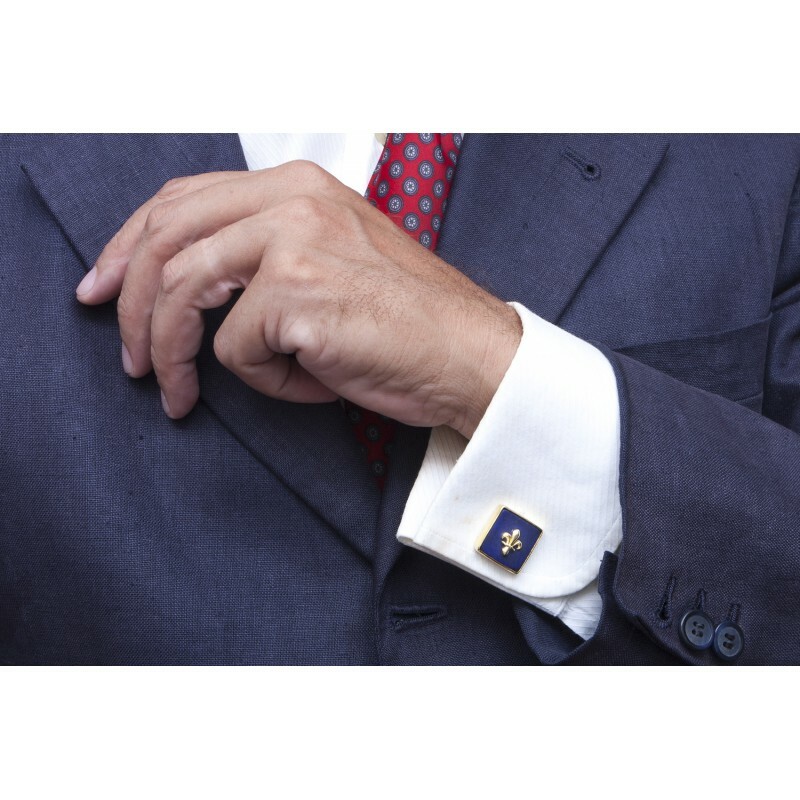 Fleur De Lys lapis cufflinks with overlaid heraldic gold plated sterling silver Fleur de lys. 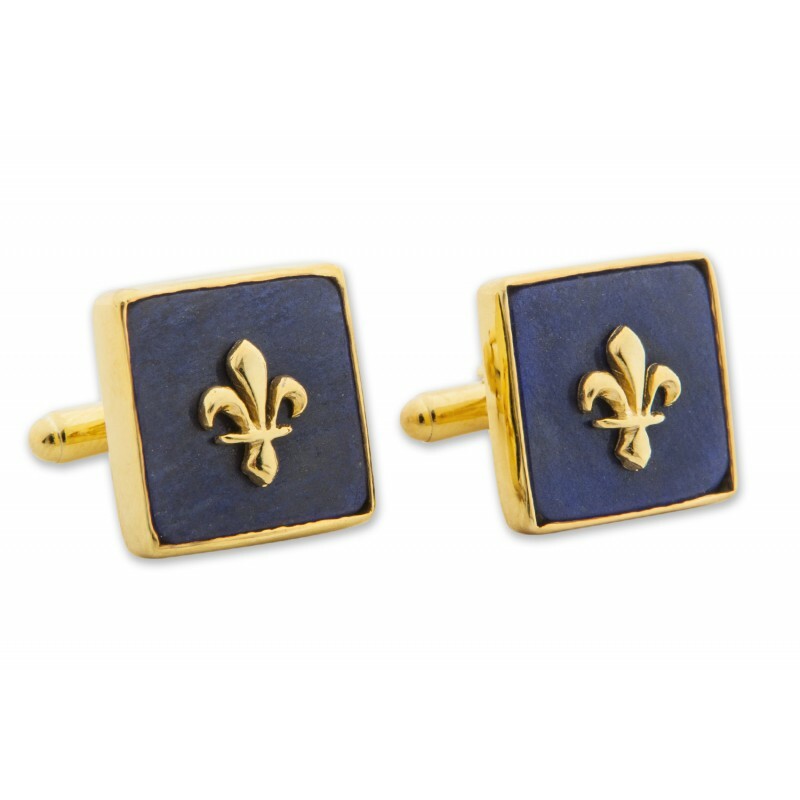 Superb Bourbon family crest Fleur de lys cufflinks; very smart for day or evening wear. 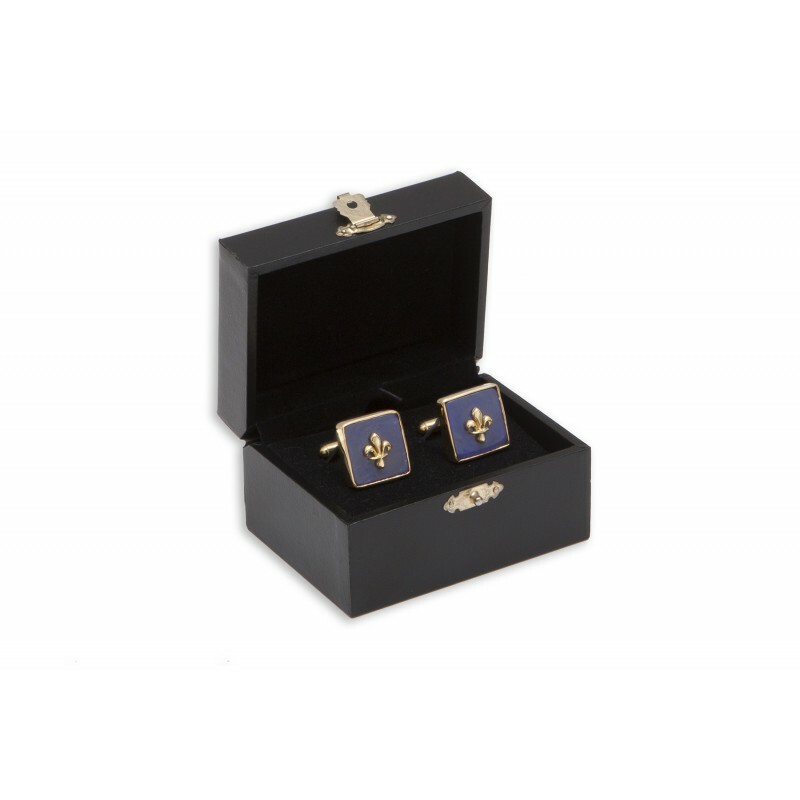 The perfect masculine gift especially for those of you who love the best of France. 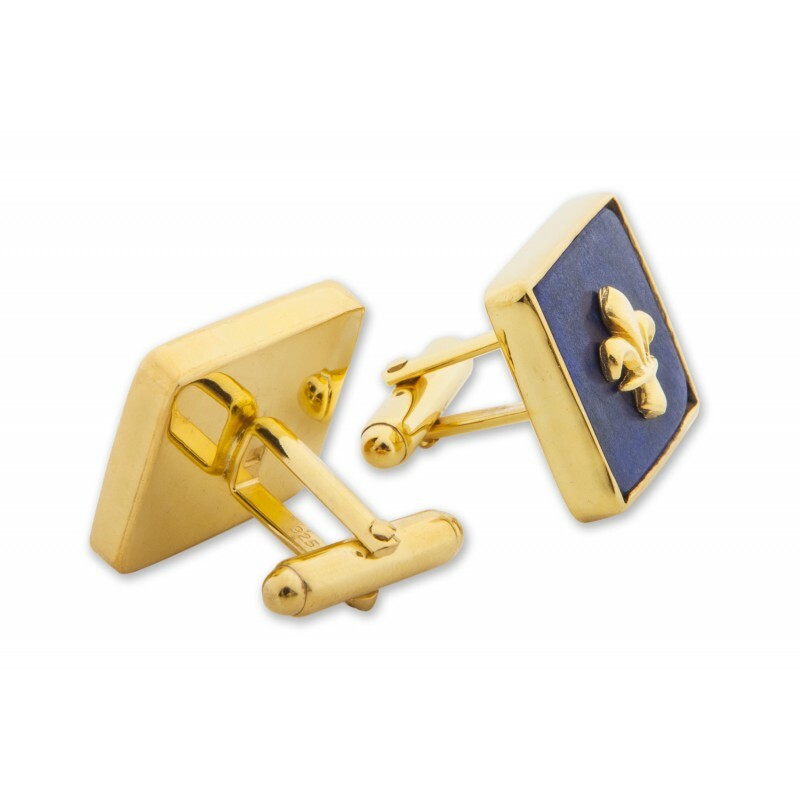 Hand crafted square lapis cufflinks are mounted to gold plated sterling silver easy-fit swivel attachments. 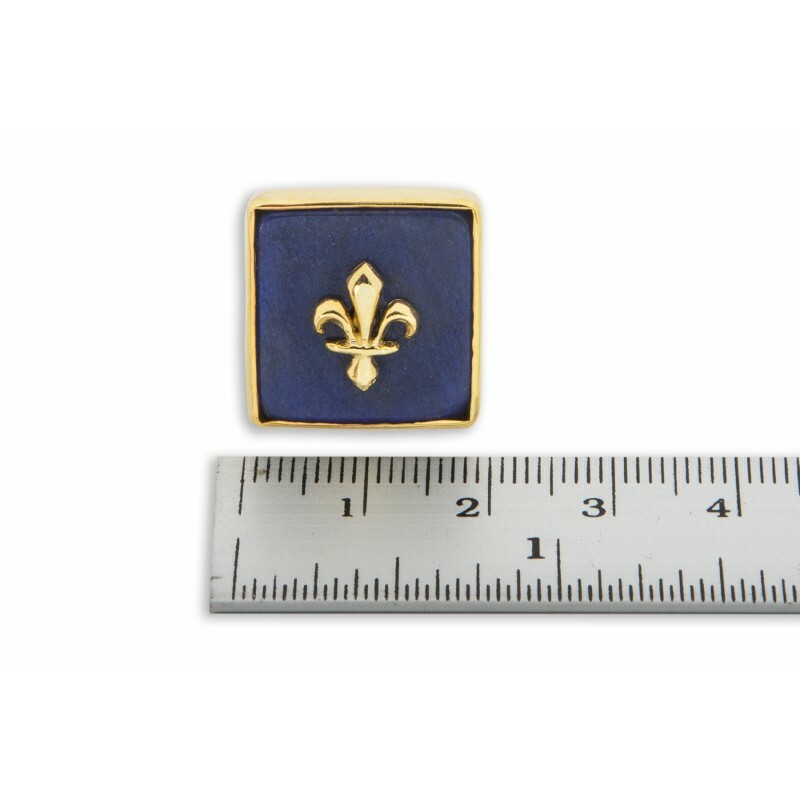 The lapis squares measure 18 x 18 mm (11/16 x 11/16 inch). That's why these high quality handmade lapis Fleur De Lys cufflinks are so affordable.